Noisily Festival > Latest Noise > 2. Music > The Parliament of Funk Returns! 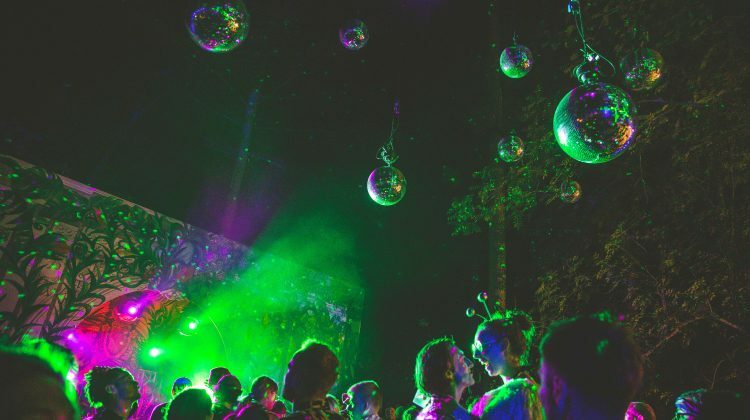 Back for its second outing, The POF will host takeovers and sessions from the crème de la crème of funkadelic, soulful, purveyors of groove the Coney Woods has to offer. You can expect basslines and licks from ‘African Beats & Nice Vibes’, whose melange of Afrobeat will take you right back to the cradle of life. 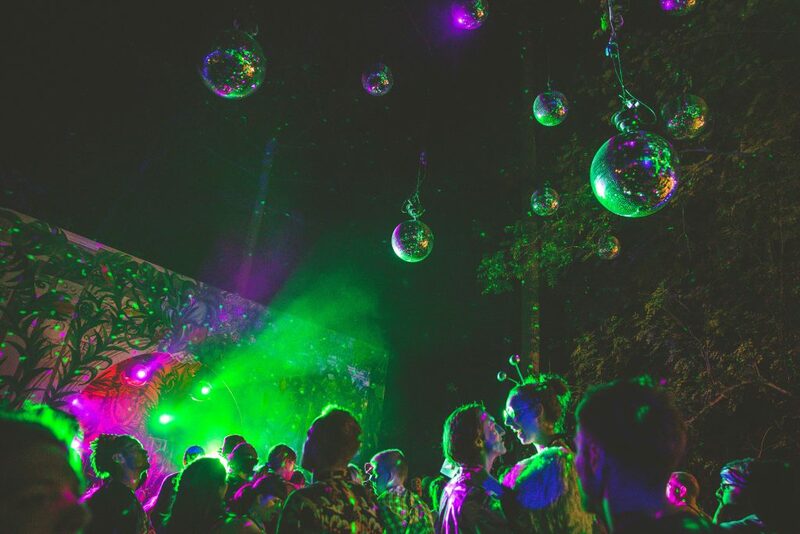 ‘Jive Talk & Friends’ are making a Coney Woods debut with sets from ADOP+, Jay Carder B2B Mark Hume, and a host of other Tropical Disco maestros. Further sessions from ‘At One’ and ‘Music Box Radio’ will be complemented by the ‘Poolside Strut’ team back for more after a solid outing in 2018, and ‘Alright on Site’, Noisily’s very own site crew responsible for building the foundations of Noisily itself! Last but not least, ‘Beating Heart presents Saronde’, ‘Cheeba Cheeba Records’ take to the wheels, Noisily’s carpenter extraordinaire ‘Niquid’ lays down the vibe, and ‘The Strutt Bros’ turn tunes into slapstick comedy. 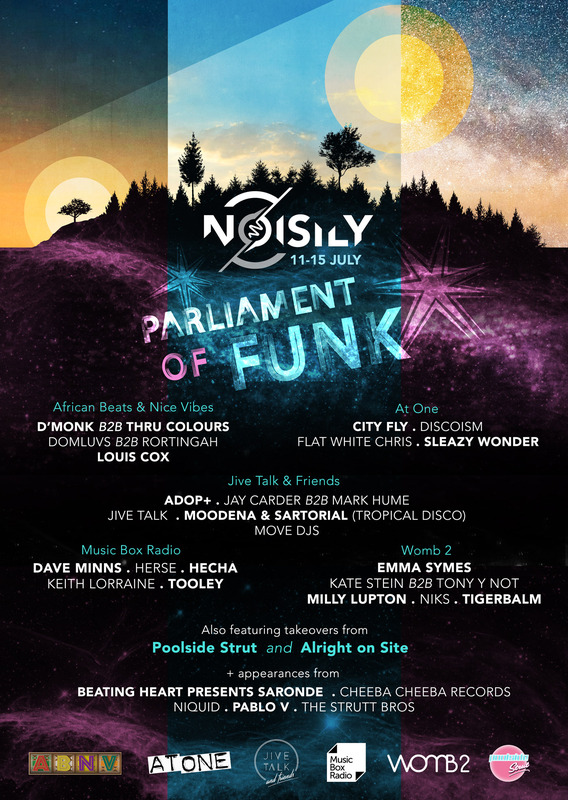 The Parliament of Funk is the home of fun times at Noisily.